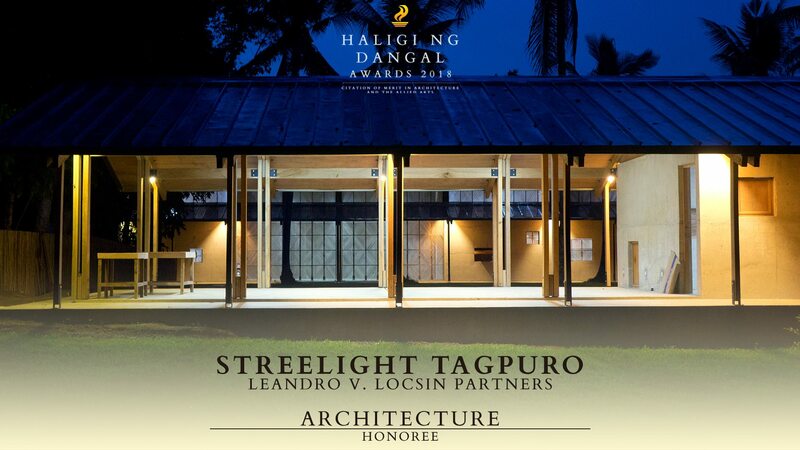 The National Commission for Culture and the Arts, the overall policy making body, coordinating, and grants giving agency for the preservation, development, and promotion of Philippine arts and culture, through the National Committee on Architecture and the Allied Arts, recently announced the winners of the Haligi ng Dangal Awards 2018 through its Facebook account. 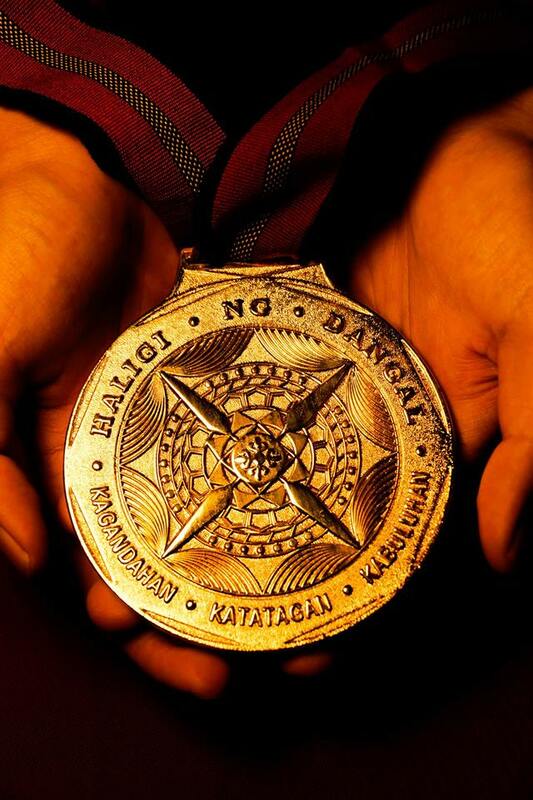 The Haligi ng Dangal is a biennial award conferred by the National Commission for Culture and the Arts through the National Committee on Architecture and the Allied Arts upon completed/executed works in Architecture and its Allied Professions namely, Landscape Architecture, Interior Design, and Environmental Planning. It aims to acknowledge exemplary works and to encourage the sustenance of the Filipino spirit, the development and improvement of the Filipino built Environment and enhancement of the awareness of the role of design and designers, particularly that of architecture and its allied profession in the social, economic and environmental development of the Philippines. 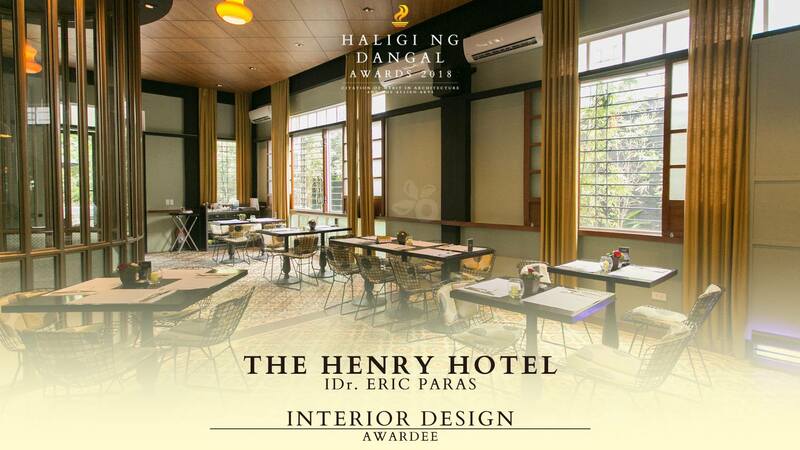 The Haligi ng Dangal honors works of Architecture, Landscape Architecture, Interior Design, and Urban and Environmental Planning, with the winners of the four major categories receiving a medal, plaque, and a cash prize. Only licensed Filipino professionals were eligible to be nominated. A special, separate citation for the People’s Choice allowed for public participation in the nomination and decision process by way of online voting, with nominees garnering the highest number of votes being recognized as popular everyday built spaces which resonate with the Filipino. The panel of Jurors for the 2017 Haligi ng Dangal Awards included Arch. Rogelio D. Caringal, Head of NCCA National Committee on Architecture and the Allied Arts; LArchitect Jose Antonio P. Bimbao, President of the Philippines Association of Landscape Architects; IDr. Lilia C. De Jesus, President of the Philippine Institute of Interior Designers; and Arch. Joel V. Rico, Deputy Executive Director of the United Architects of the Philippines Sentro ng Arkitekturang Filipino. 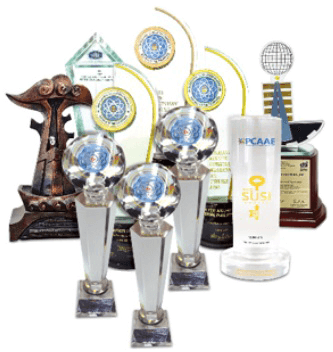 The Awards will be formally conferred onto the honorees- both the professionals and their respective built structures, on November 24, 2018 at 3:00 p.m. at the Marble Hall, Ayuntamiento de Manila. Plaques recognizing the contributions of these structures and sites to the advancement of Filipino design will be installed at a later date. Here are your Haligi ng Dangal 2018 Honorees! Designed through participatory planning initiatives with the local community, the Streetlight Tagpuro project highlights and incorporates the Filipino cultural concept of bayanihan in every phase of its inception. Utilizing materials and construction methods familiar to the community, vernacular sensitivity and craftsmanship is rediscovered for contemporary practice. Streetlight Tagpuro allows for pride of place and generation of significance through expressions of local identity while providing a lightweight yet resilient typhoon-resistant structure. It is architecture crafted in harmony with culture, context, and climate. 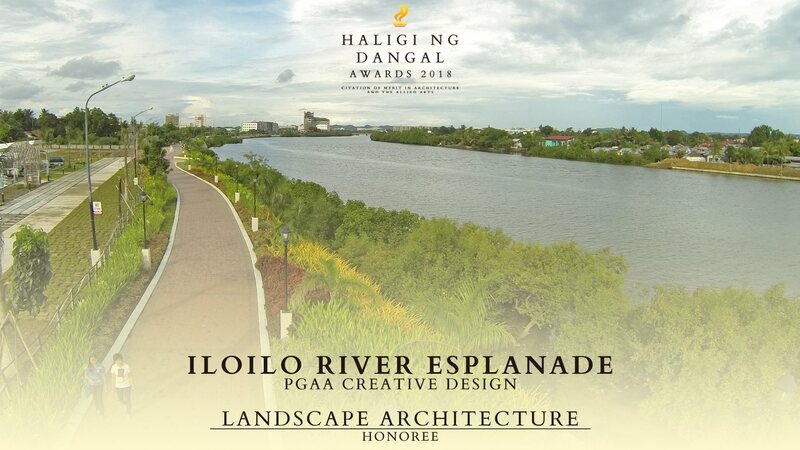 A pioneering landscape work to redevelop a once neglected riverbank, the Iloilo River Esplanade generates a vibrant, walkable and memorable open space vital in today’s urban civic life. Stretching more than a kilometer along the banks of the Iloilo river, the esplanade reclaimed a major thoroughfare for the benefit of pedestrians, creating a space of civic empowerment. As part of the program to rehabilitate the Iloilo river, it provides a space for leisure and tranquility, and revitalizes the connection between river, city, and people. A boutique hotel drawing on the allure of Filipino nostalgia, the Henry Hotel provides a welcome respite from the chaos of urbanity while embracing the past. A converted mid-century residence, it highlights modernist aesthetics with period accurate vintage pieces, complemented by touches of contemporary amenities. The Henry Hotel’s distinct Filipino flavor gathers a century of local design and art within a singular exemplary space. Addressing the civic desire for open space within rapidly urbanizing Valenzuela, the Valenzuela City People’s Park provides an engaging space of recreation, and expression within the heart of the city. A 1.5 hectare greenfield development, it consciously makes use of endemic trees and local flora, providing a tropical refuge amidst the industrial locale. The successful community-centric multifunctional park is crafted to directly cater to and respond to the needs of Valenzuelanos who yearn for outdoor leisure spaces, generating pride of place. 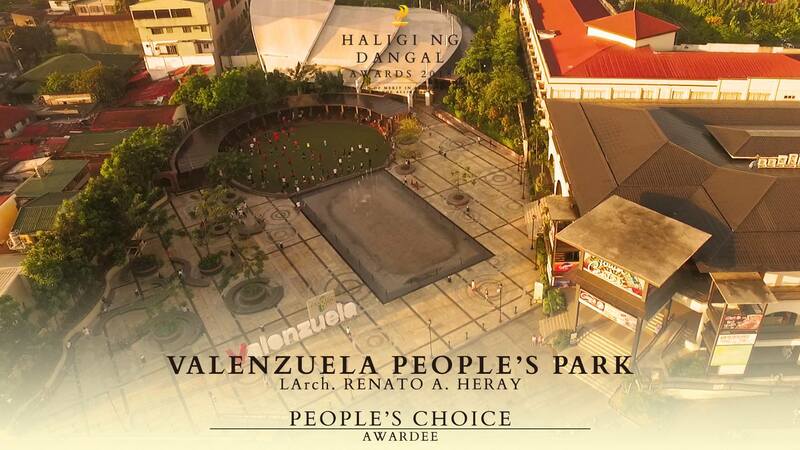 The Valenzuela People's Park received 18,498 online votes from the netizens.